I have pretty fond memories of buying pizza subs from the school canteen - tangy tomato sauce on a toasty thick piece of white baguette, smothered with melted cheese and occasionally a sprinkle of parsley and some chopped ham for good measure. It was quick, cheap, and a nightmare for my insulin and cholesterol haha. But what were the vital components of this canteen favourite? A variety of textures, piping hot from the oven, tangy sauce and capable of being eaten sans cutlery. Fake-out mission accepted. 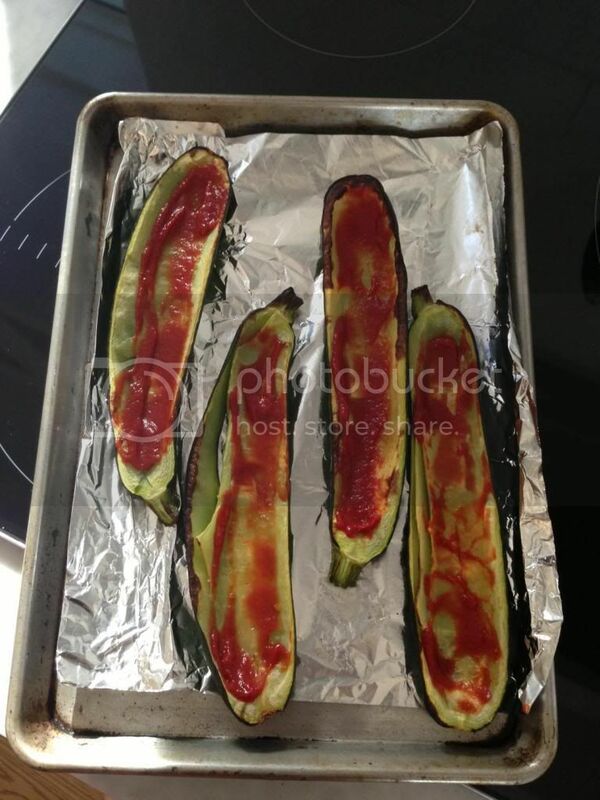 Pull the zucchinis out after about 10 minutes or just when they start to brown. Spread your tomato paste or ketchup in the boats. 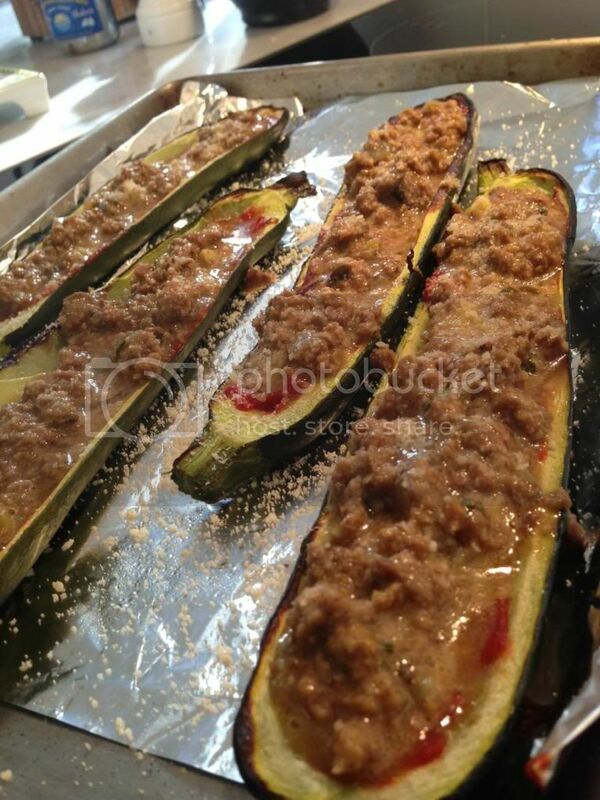 Evenly distribute the mince mixture between 2 zucchini halves and sprinkle the nutritional yeast or parmesan on top. 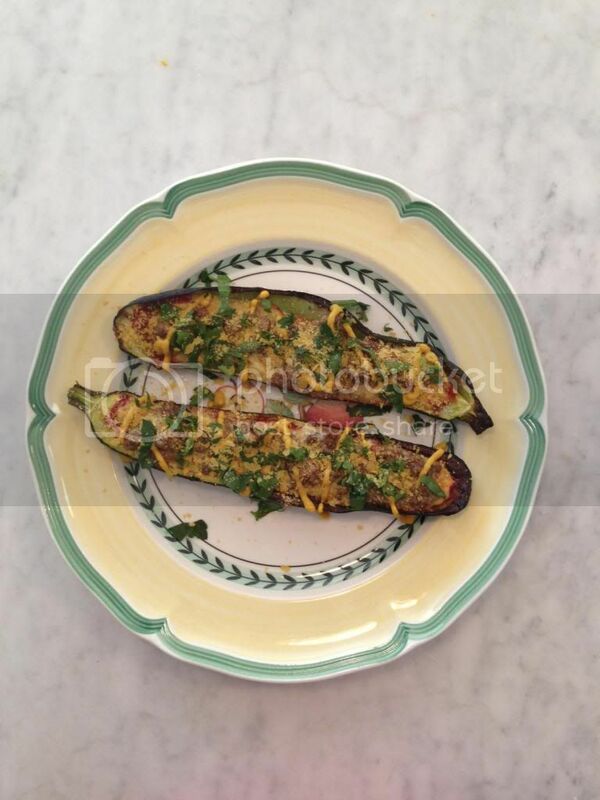 Pop onto a plate and squeeze over some mustard and sprinkle the parsley over with another pinch of nutritional yeast. Season with salt and pepper.